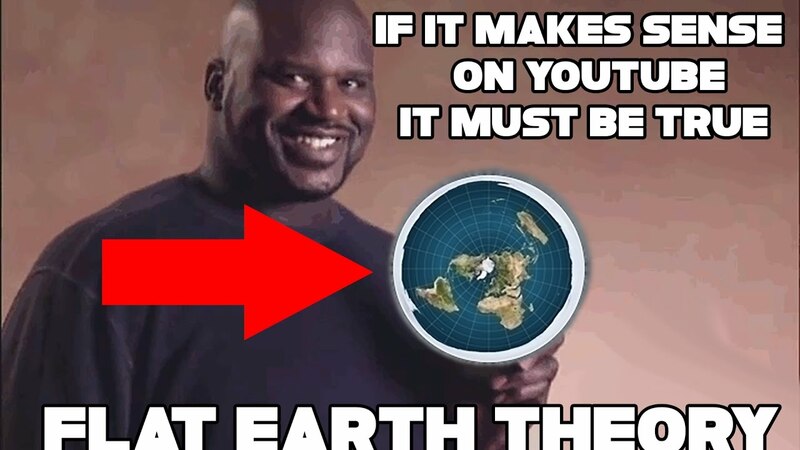 So what shape does Shaq think Earth is? Why, the future Nobel Prize winner proudly declared “it’s a square”. Sadly, Shaq is not alone in this belief. His comments were in reply to similar musings from current Cleveland Cavaliers’ player Kyrie Irving, who said last month: “This is not even a conspiracy theory. The Earth is flat. The Earth is flat.” Oh, he also thinks he has the power to have an out-of-body experience when he dreams. The flat Earth claim was also backed by Golden State Warriors player Draymond Green, who said: “I’m not saying I think it’s flat or round. I don’t know but it could be.” There’s also Denver Nuggets player Wilson Chandler, who tweeted: “I agree with him [Kyrie].” Oh and let’s not forget rapper B.o.B., who last year got into an infamous tussle with astrophysicist Neil deGrasse Tyson when he spouted some bizarre comments about Earth being flat. Why, why, why do these people believe Earth is flat? Who knows. A failing of the educational system? Maybe. Growing mistrust of “experts”? Possibly. A really terrible joke? God, I hope so. Just in case you did think Earth was flat, here’s some information on why it’s not. At least Trump hasn’t outed himself as a flat-Earther yet too, considering the other science he refuses to believe. We’ll let you know if there’s any update.